First we started off making a ocean scene using shells and toys. 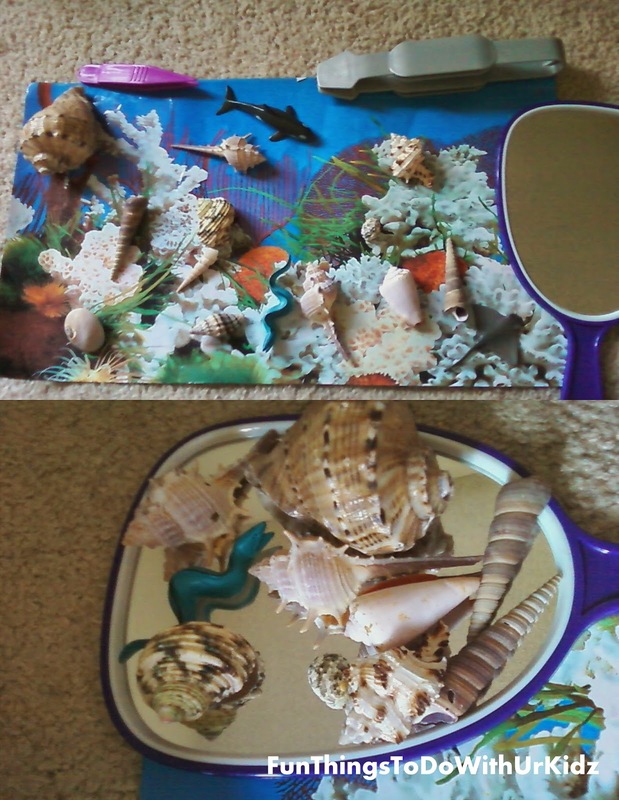 Then after the picture was done my kids then used different tools to pick the shells and toys up and place them on a small mirror . This was a good activity for sensory play and fine motor skill practice. Yet another activity we used these shells for, reuse, reduce, recycle!